It takes just one simple question, contemplation, or movement of the body to unlock the wisdom, strength, and resources within us. That's the intention behind the Practice You Daily Awakening Deck. 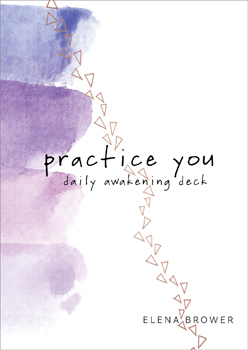 Inspired by her bestselling Practice You: A Journal (9781622039227), Brower offers here 54 new meditations, writing prompts, moving practices, prayers, and more. Intended to be used either as a complement to the journal or on its own, bring it along to draw upon at any time, and to awaken and evolve your best self.